This week fishing in The Everglades was good, the weather is really warming up and the fish were on the bite. Early in the day we bounced Riptide jigs slowly along the bottom of the deep passes for Trout. Most of the Trout were in the 20-24 inch range. The Redfish have also been quite active, going for live shrimp under a popping cork on the rising tide. 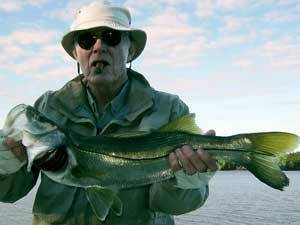 As the day continued to warm up we also ventured deep into the backcounty were we caught several nice Snook to 8 lbs. With the weather continuing to get warmer the fishing should keep getting better.